Our lawyers are well versed in Oklahoma Consumer-Credit Laws, Consumer Regulations, Oklahoma Consumer Complaints, the Oklahoma Consumer Protection Act 751, Oklahoma Lemon Law, Fair Debt Collection laws, Oklahoma Consumer Protection laws, credit reporting laws, Do Not Call List in Oklahoma (Telephone Consumer Protection Act), and Oklahoma fair debt collection laws. If you are looking for a Tulsa Consumer Protection Lawyer, call us. We are Free Consumer Lawyers than handle Consumer-Law Cases. What Is a Consumer Lawyer? 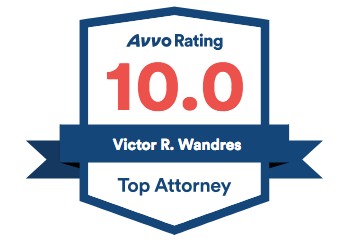 It is an attorney that has studied Laws to Protect Consumers. You’ve told them to stop calling you. Why aren’t they? Have you recently received a new cell phone number and started receiving calls from the debt collectors that were calling the previous owner of the cell phone number? You know, the calls that the previous owner of the number was trying to get away from by cancelling that number. Have you told the debt collectors calling you that person they are trying to reach is no longer at your number? And let me guess, they’re still calling? Well guess what, every call to your cell phone after you told the company that the person they are trying to reach no longer uses your telephone number could be worth between $500.00 and $1,500.00, regardless whether you actually answer the call! That’s because Congress connected law called the Telephone Consumer Protection Act. The TCPA in Oklahoma prohibits Robo calls or artificial voice calls to your cell phone if you’ve never given consent to the company to call you on your cell phone number. Our Oklahoma lawyers handle lawsuits suing debt collectors that call on your mobile or cell phone without prior consent. In addition to representing debtors in collection actions filed by credit card companies or third-party debt buyers (zombie debt), we also are well-versed in filing lawsuits against debt collectors for violations of the fair debt collection practices act in Oklahoma. Please see our page on FDCPA regarding more information regarding the fair debt collection Bill of Rights in Oklahoma. We also handle claims under federal warranty statutes and the Oklahoma lemon law statutes. Please see our Medical Device Lemon Law page for more information on how we make manufacturers right Oklahoma consumers who have been sold assistive medical devices or medical devices (including hearing aids and wheelchairs) that do not function as promised. We also handle wrongful automobile and car repossessions. If you’ve been sued for a credit card in Tulsa County, we can help. We have lawyers that do debt collection defense in Tulsa County and surrounding counties, including Creek County, Osage County, Wagoner County, Muskogee County, Okmulgee County, Pawnee County, Mayes County, Creek County, and Washington County. You may dispute the debt because the Oklahoma statute of limitations has passed because the debt is too old. It is a violation of federal law and the Oklahoma Consumer Protection Act for law firms or debt collection agencies to sue you on credit card debt that is too old or passed the statute of limitations. Many times debt collectors do not have proper standing to bring a lawsuit. Instead they hope that you will not answer the lawsuit filed against you and they will receive a win or a “default judgment” just because you don’t know the system. We handle our debt collection defense cases on a fee basis. However, we always provide free consultations in order to keep you from having a default judgment been injured against you! Even if the debt is not barred by the statute of limitations, there may be numerous other defenses to why you do not owe the debt that is claimed by the debt collection agency. Call Paramount Law if you need an attorney that understands Oklahoma Consumer Law, Consumer-Credit Lawyers, or that practices Oklahoma Consumer Protection Law.